Welcome to my Viral Cash App review 2019! Viral Cash App claims that using their automated App; you can siphons profit from $70 billion dollar free traffic source and direct cash deposit into your bank account. Also, you don't need to do a lot of work because their app will do the most of your work. So I decided to look inside the Viral Cash App, and in this review, I will share my honest opinion about it. 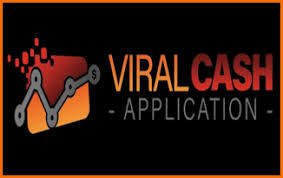 Whether it is really that easy for Viral Cash App to fulfill its promises? Is it worth your time? 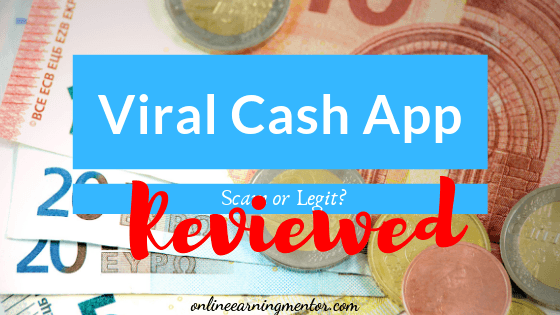 And most importantly, is Viral Cash App a scam or legit? Summary: Viral Cash App is a typical over-hyped product that makes false and misleading claims. Don't think that this system will work for you. Just like most other Clickbank products, it is a low-quality product, and you should avoid it at all cost. Viral cash app is the creation of Mathew Neer's who keep on creating different products and make money. Viral Cash App is his new product which gained good popularity, and this app is based on the concept of using viral videos which are more attractive and appealing so can help you earn money online. All you need is to share viral videos to a website which they will give to you. You will get paid when other people watch them. Actually, it is a software which lets you add your affiliate links, banner ads and text ads to the videos you post on a website which they will give to you. The concept is when your website has a bunch of viral videos on it, and if gets shared you will get attracted by thousands of people to your website. As these viral videos can attract more traffic towards your website and these people share your website to others for showing them these viral videos. Mathew told that how you could make more money than the people who are making so much efforts and hard work to make these videos. As you need to post these videos on your website to make them viral so that more viewers will visit your website. So, when you have traffic, you can monetize your videos by showing them display ads or also use affiliate networks like Amazon and Clickbank to earn affiliate commissions. So according to Mathew, this is the best way to earn money online without making much effort. Who is Behind Viral Cash App? Mathew Neer, an internet marketer, has created this viral cash app to make it easier for people to earn money online. He also has created different platforms like 5k Formula, Operation 10k, Viralism, Income League and Weapons of Mass Commission, just to name the few. He didn't come out as the trusted name in this industry though he is not a scam either. However, his products don't have as much value as offered by other famous internet marketers like John Crestani, Stefan James and David Sharpe. So, it means he keeps on launching products ever know and then and this is how he makes money. The idea of Viral Cash App is to find viral videos on YouTube, you then bring those videos into this app, posted it and then linked it to various monetization methods. When someone clicks on ads, you will make money. This sounds like a bit tough for you. So, I make this whole process a lot easier for you. 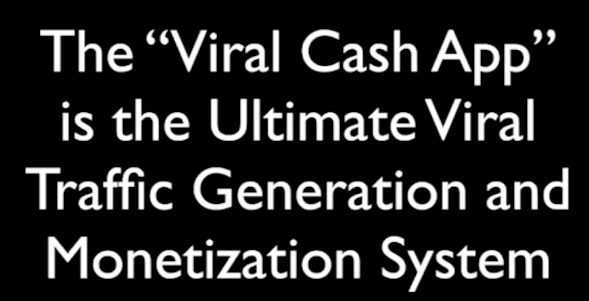 Actually, Matthew owns a site with the name of Viral Syndicator and you, just like other Viral Cash Members, will share viral videos on this platform. So, the claim that Matthew has made about giving you a website is actually a false claim because this website is actually in the control of Matthew and you and other people are sharing viral videos there. Now your video will get tons of traffic from this platform and you make money. But in reality, this is just a false claim because if you look at stats of his site, you can see that the website itself has a very low traffic and the majority of the traffic is coming from Facebook, and there is no organic traffic at all. You can also see the videos in this site to corroborate this claim as there are very few views on each video. Even you can visit there Facebook page to see hardly any engagement and interaction on people videos. Just like other Clickbank products, Viral Cash App is also low quality and overhyped product. Viral cash app is not for free as you need to pay $47 for using it to earn money, but you can also take it in $24.95 if you want to quit the page. It claims to be a very simple app, but still, you need to make an effort to adjust its parameters first. You need to login to viral cash app for using it. There you will enter the member's area where you can access the videos and content for using it effectively. You will choose the category or niche for starting your journey. As you can identify among the individuals that what are the interests of people in these days and in which niche you can get more viewers. So that by using this category of videos you can have more audience and can earn more profit out of these videos. For gaining traffic, it is important that your content will look attractive and can grab the attention of more customers. Choosing the right keywords is important as it will easily attract the customers and make it easier to go viral videos. As the more people share your website, you will get more viewers to your website. In the monetization section, you can use two ways to make money by sharing videos - Display Ads and Affiliate Marketing. In this step, you will insert your own affiliate links and display Ads to this software. So when people watch your videos, they will either click on your ads or purchase anything through your link, either way, you get paid. When people visit your website, they will watch the ads and the moment they start watching the ads you will also get the money from them. The number of times your website is getting visited by the viewers and the reviews and feedback of the viewers can determine that how much profit you will earn. After doing all the steps mentioned before, you need to click that you are done with all the things so that you can post the videos to show them to your viewers. This is the process through which viral cash app need to work supposedly, but there are also some flaws in this system, which need to be focused upon. If you follow Matthew, you can make a few bucks at the end of the month but maybe not good enough to pay your school fee or utility bills. However, you don't need to do much of effort as you only need to log in and post the videos to make them viral for having more views. You can do that by just having the basic knowledge about computer. This app is also easy to install as there is no setup process. It is all cloud-based, and there's nothing to install, just log in and start using it. The another good part of this viral cash app is its 60-days money back guarantee as it is a product of Clickbank. So that if the person feels unsatisfied and is not getting much profit that he or she has expected that they can get their money back. This makes it look legitimate and reduces the risk of it being labeled as a scam. To earn some good money through this business model, you must have to attract millions of viewers. Also, the best type of free traffic is organic traffic from search engines. Organic traffic needs to have valuable and unique content to display whereas in viral cash app you do not have any unique content to display. Here, you have the videos of other people, which are displayed on other sites as well. So, basically, you are using other people's content and taking a big risk of account suspension. 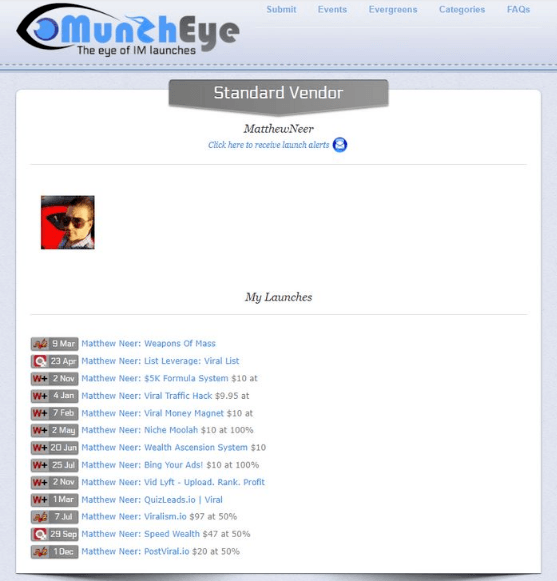 As we have discussed before that there are some ads networks which are displayed on the site. This will make the viewers divert from the videos you have posted and make them leave the site without watching any video. 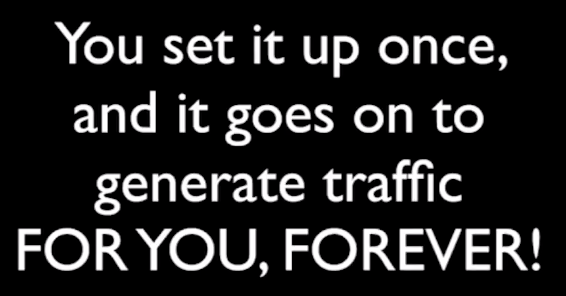 So you will fail to convert your traffic to your regular viewers. With Affiliate Marketing you need to write high-quality content, and the product must be related to your content to make higher conversions. But placing random affiliate links under your videos, do you think this gonna will convert? Affiliate Marketing isn't as easy as Matthew might think. You cannot just share your website link a few times and can expect to have heavy free traffic because not every person who is coming to visit your site will share your website. You need to grab more viewers by promoting your website as if you do not have many followers on social media you cannot have more viewers. You need to spend more time on operating the system manually as there is no automated system in it, which works by itself faster than other websites. Mathew is trying to make his product look one of the best that no other site can help you to earn more profit as compared to this one. He is using older techniques for boosting up the sales. 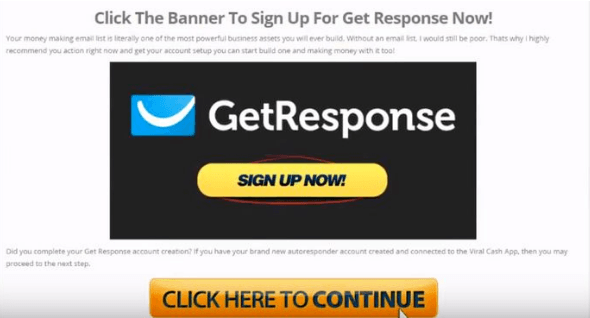 He presents his website as the easiest way to make money online without doing any hard work. As no mean will help you to earn money without doing a single task. You always need to do some work no matter it is hard work or you are doing less work but the thing is that you are working. Viral cash app recommends the users to use GetResponse, as this will automatically collect subscribers email address and follow up with them. It has a 30 days free trial period, but its cost is $15 for the cheapest plan. Therefore, you have to pay extra hidden costs in addition to the fee that you have paid to purchase the viral cash app. Through this site, you can make your own website on which you can share viral videos. This website will be the fake website and has not much value as compared to the other sites. To have your own website, you must have to pay for having your own domain name and hosting. You cannot have your own website for free at any cost. His software just helps you in creating a page for you to promote video with your Ads and affiliate links. That page stills belongs to him. You will learn display ads as the main strategy to earn income from your website. But the major Company in the display ads network is Google AdSense. At first, you need to get approved your website from the Google AdSense and then place their ads on your website. When somebody clicks on your ads, you will earn few cents for each click. But there are issues that you need to be considered first. The FIRST one is getting approval from AdSense a tough process as they will first look through your website and content. What extra value you are providing to their users and whether your content is unique or not. 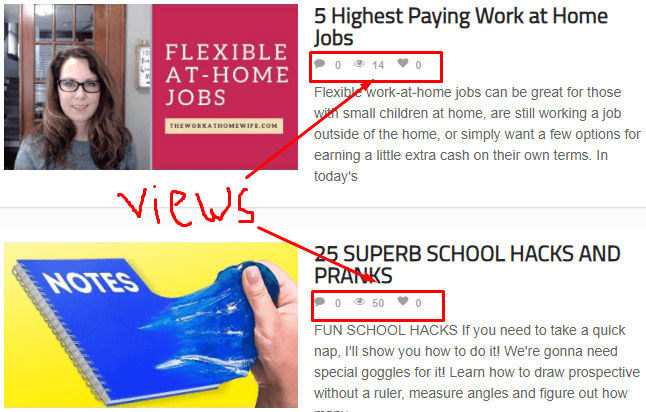 As you are already using other people content so you shouldn't expect to get approval from Adsense. SECOND, somehow if you get your account approved but still for earning some major income from AdSense, you should have at least 10,000 visitors daily visit your website. Don't expect to get too much traffic after using this app. This is just a trap to enroll you in their system. 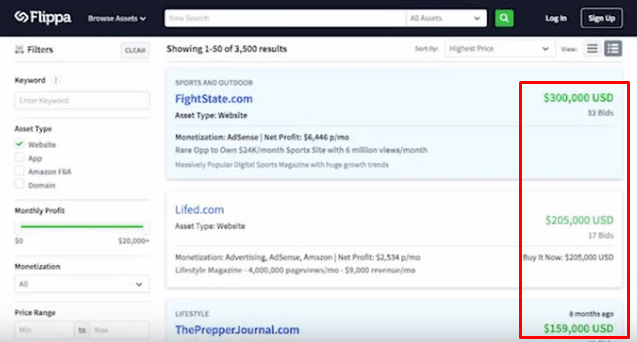 In the sales video, you can see that Matthew will show you how you can sell a site for $200,000 or even more than this. 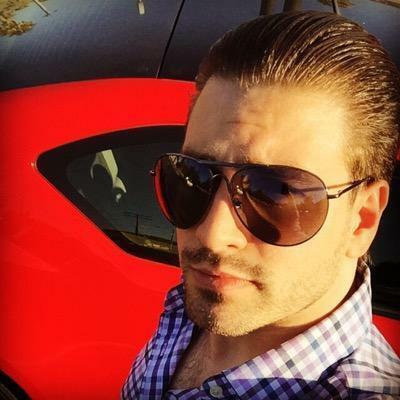 He has also shown sites that are already earning 4 to 5 figure income each month and were sold for 30 to 40 times of their per month income. Honesty, selling websites is possible, and there is no issue with this claim. As you can visits sites like Flippa, Empower Flippers and Sedo to see people are selling their businesses for big amounts. But the issue is how can you sell a website given by this app because there is no domain you own and no hosting where your site is hosted. There is no way you can make money through website flipping. Again this shows that the sole purpose of this product is to spread misleading information and target innocent people. Matthew makes most of his earnings through launching new products after short intervals. All of his products are in the Make Money Online (MMO) niche, so he knows how to make big money launching those products. Even he has shown his accounts in the sales video showing his Clickbank's earnings portraying to be earning from Viral Cash App, but it was in fact from launching his products over the period. I have been in this industry for a while, and I know many names who make a full-time income from launching products. These are Desmond Ong, Chuck Nguyen, Anik Singal, Naidy Phoon, and Anthony Morrison. But the truth is most of their products are crap and didn't provide any value to the people at all. So, the thing is don't rely on people who are making money from product launches. I know few don't compromise on quality, but they are very few. I don't know any product of Matthew Neer which has left a positive impression in people's mind. Mathew is trying to misguide you that you can make money online within a few days and that too without doing any hard work. No one can claim purely that you can earn a 5-figure amount in just one night by staying at home. Some of the people are also making money out of it, but it is not always true that everyone can make that much amount by just posting the viral videos. Additionally, you cannot make that much amount without any effort, as you need to do work for having traffic towards your website. For that, you surely need to promote your website via any social media or another site where more people are following you. We also cannot label it a scam because the Clickbank provides it so you can always get your money back within 60 days. By using others data and videos, you cannot make that much amount as having more traffic needs to have unique and exceptional content. Therefore, by making your own videos and content, you can have traffic that is more organic. For making your content viral, it is necessary that you should have good quality content. As this website has so many flaws and is also not said to be as 100% legit so my first and the most preferable recommendation will be the wealthy affiliate as it provides proper training in the affiliate marketing strategies. You need to have proper training and skills to earn money online because it is not an easy thing to do; you need to have some tactics and strategies to make money online. Wealthy affiliate is a legitimate way of making money online so you should try this. It tells you that how you can start the journey of earning money online by staying at home. This will also help you to learn the strategies that how you can have more traffic towards your website. What's your thoughts on my Viral Cash App review 2019, please share with me in the comment section below.